Howard Theatre might still be decked out with its historic façade, but inside, the 102-year-old theater is shaping up to become an ultra-contemporary space for seated and standing-room concerts and comedy acts. 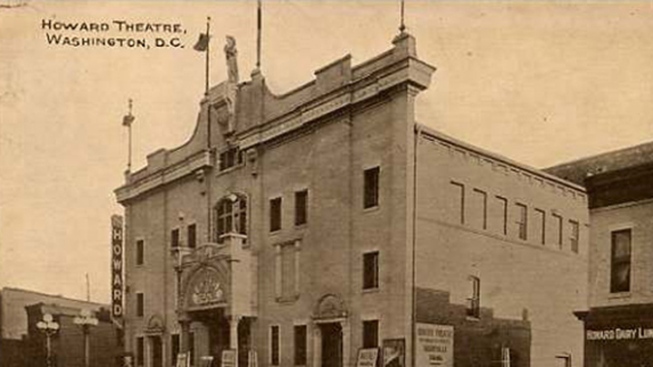 Now in the final stages of a renovation that began in fall 2010, the theater (620 T St. NW) is set to reopen April 9, and planners have announced a star-studded opening lineup. Wale, Mos Def, Chuck Brown, The Roots and comedian Wanda Sykes are all scheduled to perform during the theater's first few weeks back on the scene, following a $29 million renovation by developer Chip Ellis and fronted by Howard Theatre Restoration Inc. The 12,000-square-foot venue will have seating for 650, or standing froom for 1,100. It's also set to be a new Sunday destination -- each week beginning April 15, Howard Theatre will play host to a Sunday gospel brunch featuring the Harlem Gospel Choir. Notable performers through the years included Duke Ellington, James Brown, Otis Redding, Buddy Holly, Sarah Vaughn and Sammy Davis, Jr. The theater, which has been closed since the 1980s, had faced other tough times in its past. During the Great Depression, Howard temporarily became a church. It shut down again after the 1968 riots and struggled throughout the 1970s and '80s before closing its doors. You can get a first look at the new Howard during a free Community Day on April 9, featuring live music, tours of the theater, and the unveiling of a Duke Ellington statue. In addition, a fundraising gala is set for April 12. Most ticket prices for shows fall at $35 or under, although certain events will be more -- for instance, Chaka Khan ($75), the Roots ($55) and Wanda Sykes ($95). Tickets will be available online beginning Feb. 27 at 10 a.m. online here.